Lightening doesn’t strike the same place twice, so make sure you’re ready for an opportunity when it arises. It’s not luck that will get you in the door. It’s being prepared when the moment presents itself. You know what needs to be done. Get to it today and over the weekend. You’ve been allowing your negative talk to divert you from your plan. The Faeries told you to stop the self doubt and today they’re telling you to get back to basics! You already know what you need to do. Do it. If you haven’t written out your plan, that’s what you need to spend the weekend doing. If you’ve written out your plan, you need to get back to it and finish or start the next step on the list. Or at the very least go over it and update it as needs be. Plans are only set in stone if you drop them on the desk and never look at them again. Don’t file it away and give up on your goals. Doing so may cause you to miss the opportunity you’ve been waiting for. Or worse, fail to live up to expectations because you didn’t complete your mission to be prepared for it when it arrived. You have things you must do in order to get to the things you want to do. Some of those steps may not seem like items that will help you advance your cause. But they are things that need to be completed if you’re going to get to the steps you’re sure you need to do. Stop putting items on your list off until another day. Others are waiting for you to get them done and they won’t be there to help you when you need them to meet the opportunities of the future when you need them most. Get back to the basics of building the foundation. 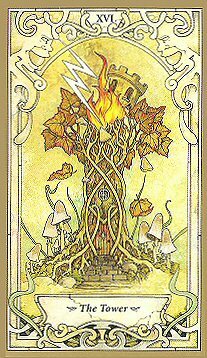 Only then will your tower be strong enough to survive the chaos around you. And only then will you be ready when that all important moment of “luck” arrives.